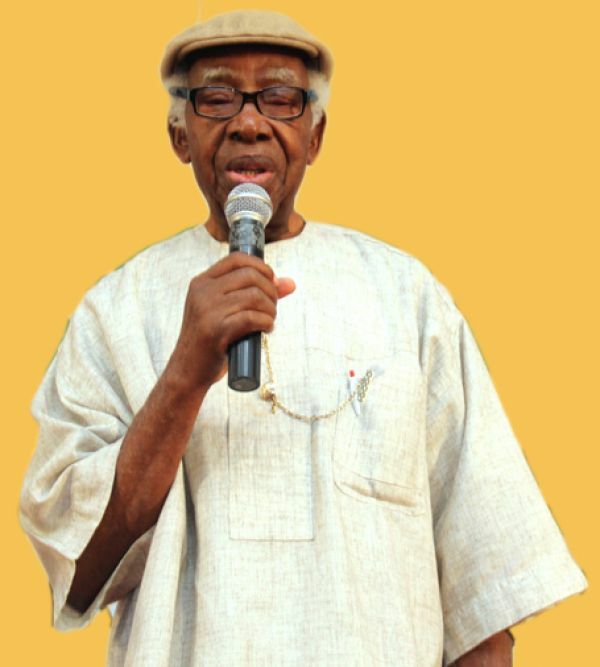 We received with shock the unexpected news of the demise of one of the fathers of Nigerian and African Poetry, Pa Gabriel Imomotimi Okara who transited to the world beyond, on the 24th day of March, 2019. Born in 1921, the Bayelsa State writer, Pa Gabriel Imomotimi Okara was recognized in 1953 as the all-round winner of the famous Nigerian Festival of Arts Award. He was known as one of the oldest African writers/poets, alive. Okara lived his life serving humanity and contributed immensely to the development of African literature. He was a coach to both young and old writers all over the world. No doubt, he left footprints and legacies in speeches and documentations. To us, he has finally answered the call that stills the crested waves. Though we are saddened by the unfortunate news, Pa Okara’s transition is a celebration of life to most of us who worked closely with him. He was just few years away from being a century old. It is our prayer that Providence grants the family, the fortitude to bear the irreparable loss.